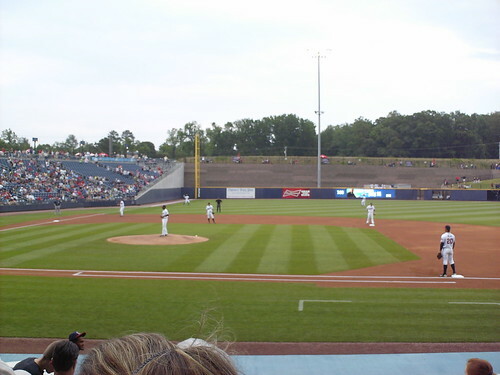 The view from behind home plate at Coolray Field. The view from down the first base line. 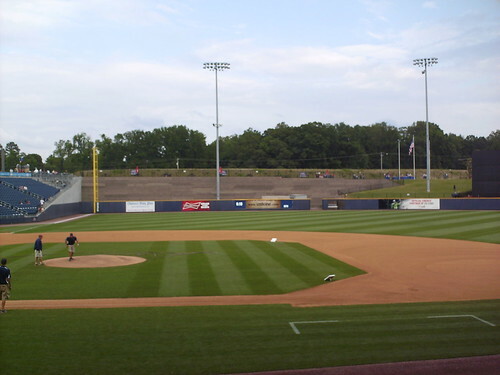 A large retaining wall towers behind the left field fence. 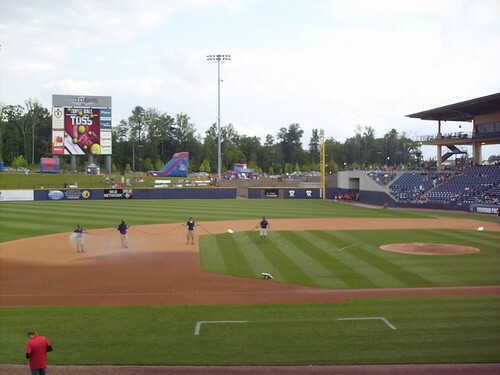 The view from down the third base line, looking towards the scoreboard and play area. 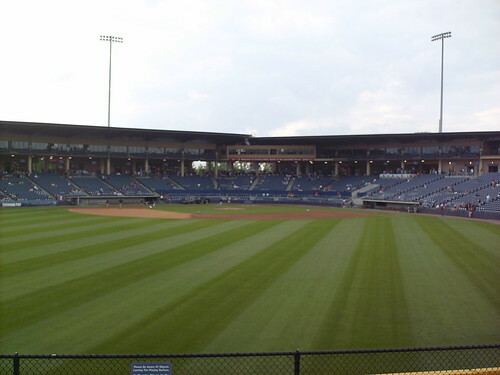 The grandstand at Coolray Field, as seen from center field. 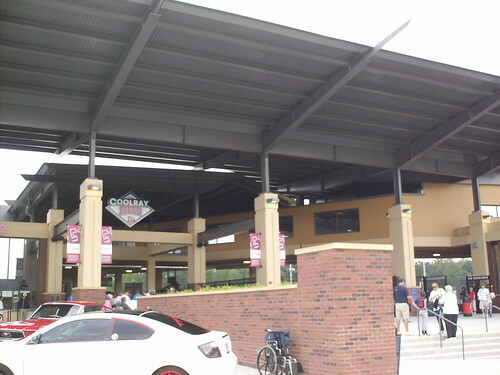 The two sections of roof meet and overlap at the pressbox. 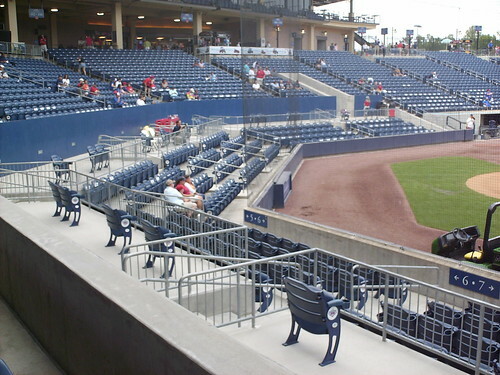 The box seats behind home plate are separated from the main seating bowl by a small private concourse. 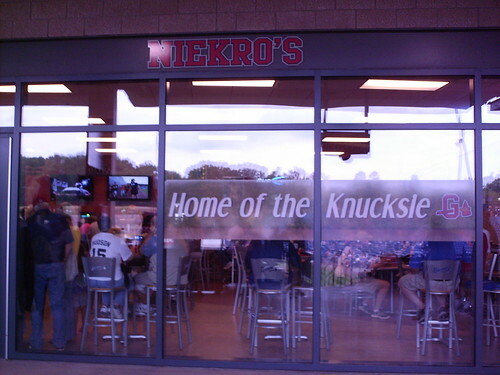 Niekro's restaurant, home of the "Knucksie" sandwich, sits on the Coolray Field concourse. 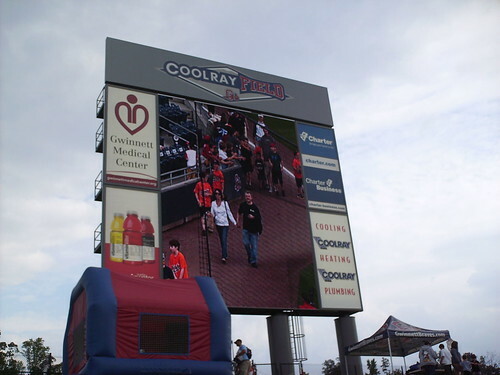 The large, high definition video board towers over the field from the right field berm. 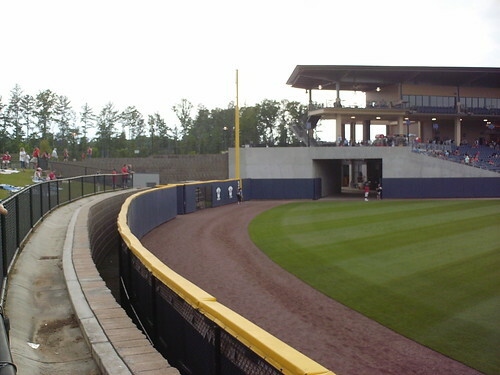 The bullpen in left sits between the retaining wall and the outfield wall, and a walkway runs atop the wall. 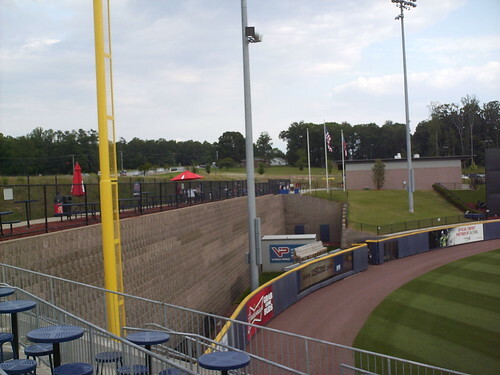 The outfield wall at Coolray Field. 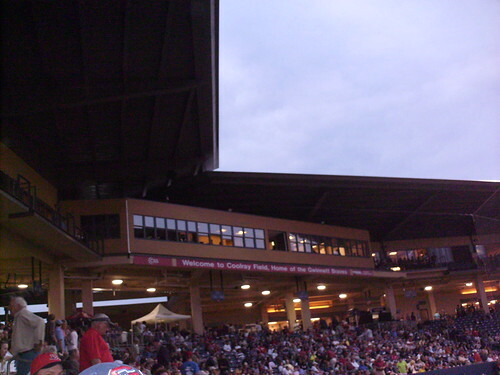 Retired jerseys are in the right field corner, and a picnic deck sits on the top deck next to the suites. 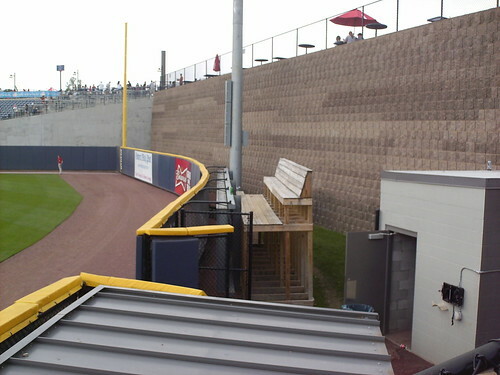 An elevated bench and the bullpen phone in the left field bullpen. 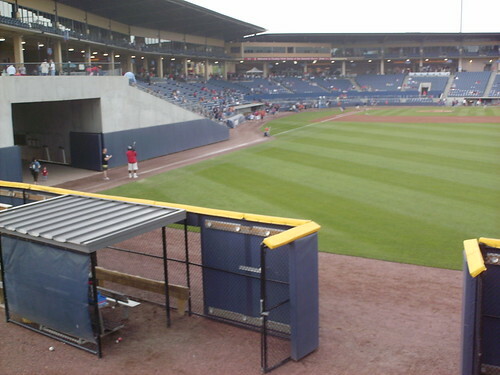 The right field bullpen has a covered seating area that looks out through the fence to the field. 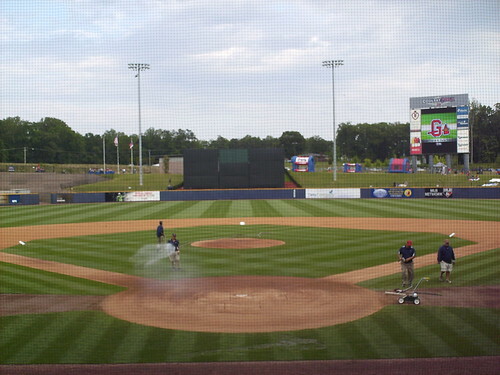 The Gwinnett Braves on the field at Coolray Field.